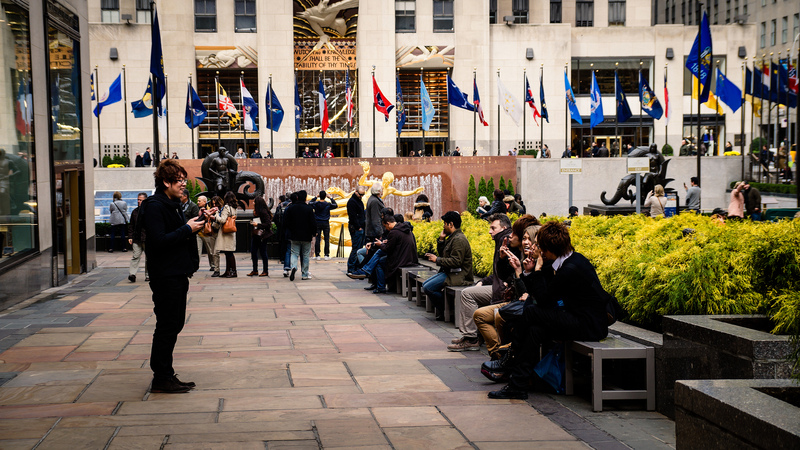 In providing outdoor spaces for the tenants of Rockefeller Center that also serve as public spaces for the local community and tourists, Rockefeller Center has both fulfilled and surpassed John D. Rockefeller’s vision to create a “city within a city.” The site’s central gathering place, Rockefeller Plaza, along with the network of smaller parks and plazas throughout the complex create a network of public spaces that serve a diverse community. 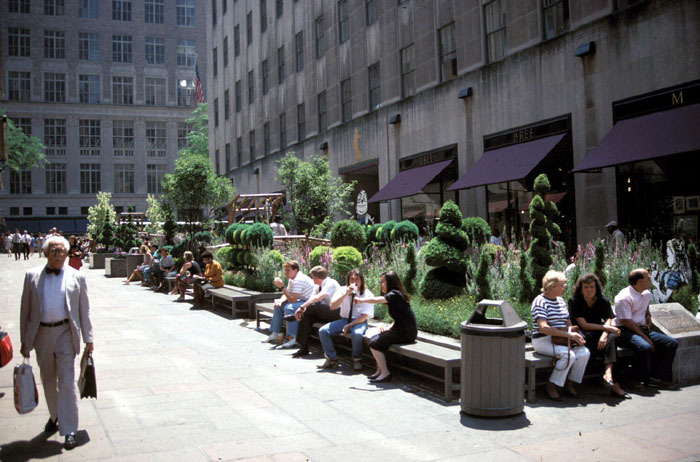 (Project for Public Spaces helped make Rockefeller Center accessible to the general public in the 1970s by adding seating and signage to the original landscape design). 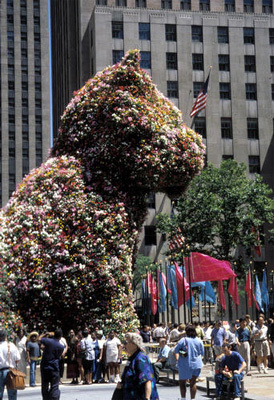 Today, Rockefeller Center is also known for its unique public programs and events. 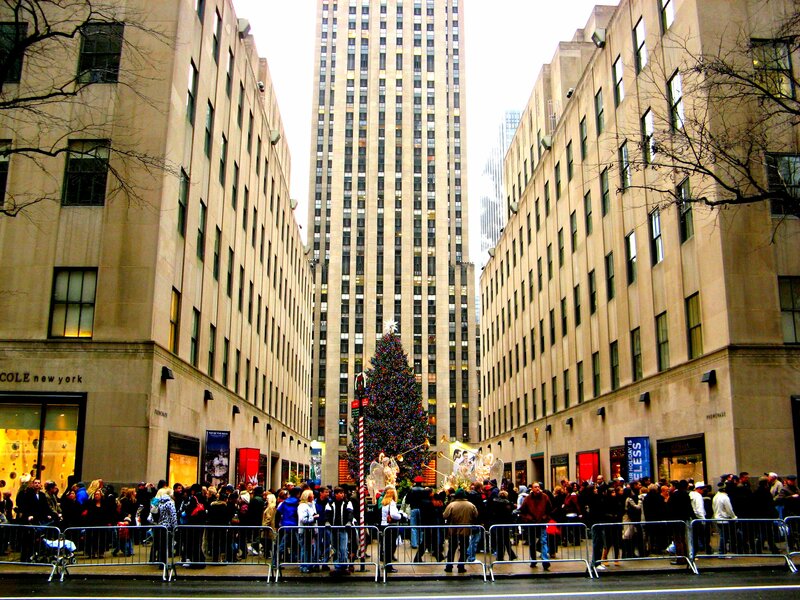 The skating rink and Christmas tree in Rockefeller Plaza are as much emblematic of New York City as they are of Rockefeller Center, and they draw millions of visitors to the space every holiday season. Other seasonal programming like the Friday Farmers Market and art exhibitions keep a constant flow of visitors coming to the site throughout the year. 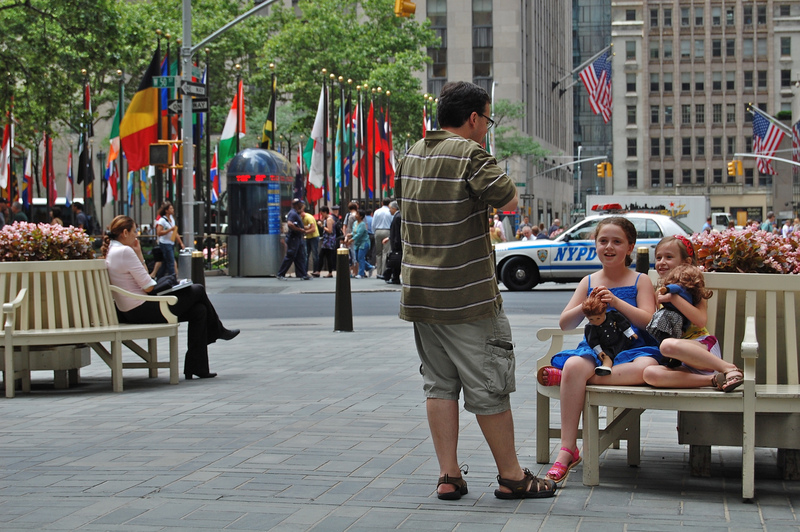 The success of Rockefeller Center’s private and public spaces has made it a model for real estate development projects and helped private developers realize the benefit of creating accessible public spaces in their own projects. The site of Rockefeller Center was owned by Columbia University until 1928, when American businessman and philanthropist John D. Rockefeller leased the land in order to develop a commercial hub for the quickly growing network-broadcasting industry. Rockefeller’s vision for the site was to create a “city within a city,” involving multiple buildings and an extensive landscaping project connecting each of them. 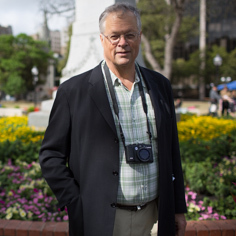 The project broke ground just before the stock market crash of 1929. Despite the devastating recession that followed, Rockefeller personally financed the center’s continuing construction throughout the worst years of the depression. Employing over 75,000 people, the project was a boon to the American economy during these dark times. Initially comprised of 14 buildings that were designed by three of the era’s most prominent architecture firms - Hood & Fouilhoux; Corbett, Harrison & MacMurray and Reinhard & Hofmeister - Rockefeller Center officially opened in 1940, dubbed “The Radio City.” It was the largest private building project to date, and since its opening, five buildings have been added - making a total of 19 buildings covering 22 acres of land in Midtown Manhattan. The progressive design of Rockefeller Center, which includes spaces for both public use and private enterprise, has been celebrated by both the American Institute of Architects and the National Register of Historic Places.